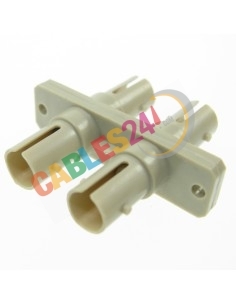 Shop Online Cables24 can buy adapters for multiple fiber optic connectors. 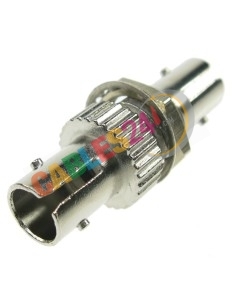 Adapters Fiber Optic Duplex Single or singlemode or multimode, are designed with great precision to ensure perfect alignment of the connectors, thereby reducing the insertion loss. 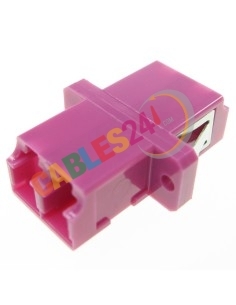 Fiber Optic Adapter offers an interconnection between two fiber optic cables and connectorized allowing the continuity of the light source from one extreme to another easily. 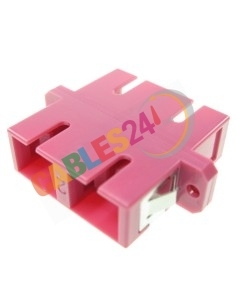 Secure and fix the ends of the cables to ensure that there are no problems caused by a bad connection. 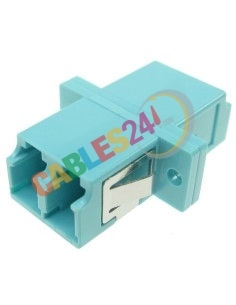 Adapters Fiber Optic Duplex Single or singlemode or multimode, are designed with great accuracy to Ensure perfect alignment of the connectors, thereby Reducing the insertion loss. 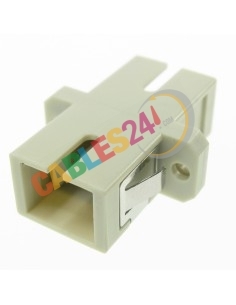 Fiber Optic Adapter offers an interconnection Between two and connectorized fiber optic cable Allowing the continuity of the light source from one extreme to another easily. 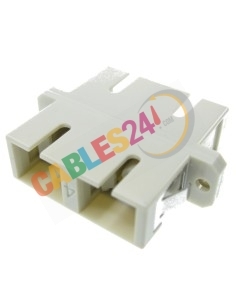 Secure and fix the ends of the wires to Ensure That there are no problems Caused by a bad connection. 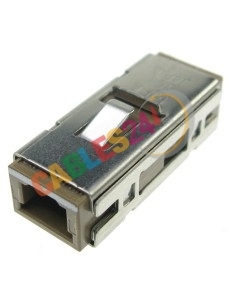 Adapters Fiber Optic There are 20 products. 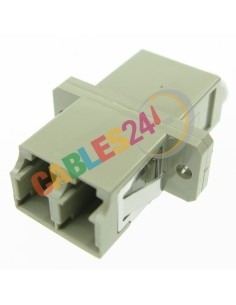 Singlemode fiber optic SC/APC-SC/APC Duplex adaptorFix and ensure secure connectors have no disconnections. 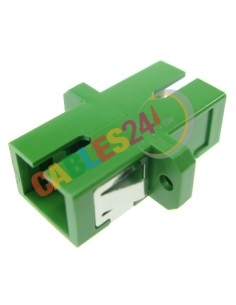 Ceramic sleeve inside.Resistant plastic housing, colour green.Manufactured under the Telcordia, IEC and ANSI / TIA / EIA standards. 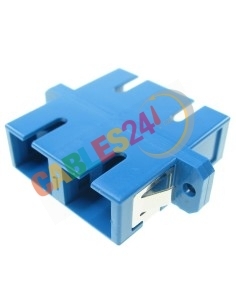 Singlemode fiber optic SC-SC Duplex adaptorFix and ensure secure connectors have no disconnections. 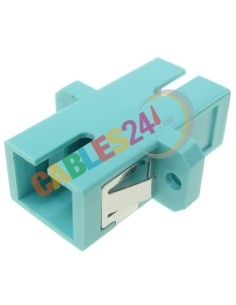 Ceramic sleeve inside.Resistant plastic housing, colour blue.Manufactured under the Telcordia, IEC and ANSI / TIA / EIA standards. 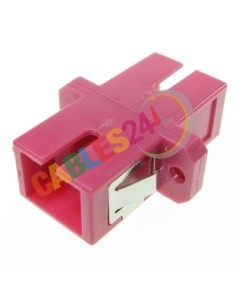 Singlemode fiber optic SC-SC Simplex adaptorFix and ensure secure connectors have no disconnections. 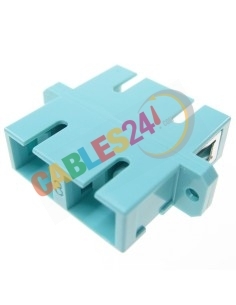 Ceramic sleeve inside.Resistant plastic housing, colour blue.Manufactured under the Telcordia, IEC and ANSI / TIA / EIA standards. 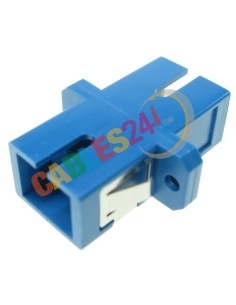 Singlemode fiber optic SC/APC-SC/APC Simplex adaptorFix and ensure secure connectors have no disconnections. 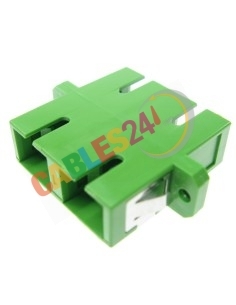 Ceramic sleeve inside.Resistant plastic housing, colour green.Manufactured under the Telcordia, IEC and ANSI / TIA / EIA standards. 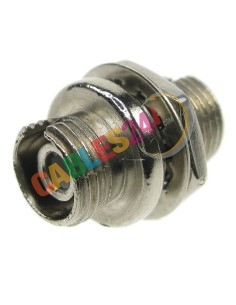 Fiber optic FC-FC Simplex adaptorHousing with corrosion resistant metal.They are designed with bronze sleeve or zirconia ceramic depending on the application.Manufactured under the Telcordia, IEC and ANSI/TIA/EIA standards.